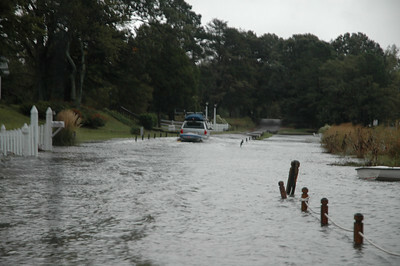 Driving through Fishing Bay Road. 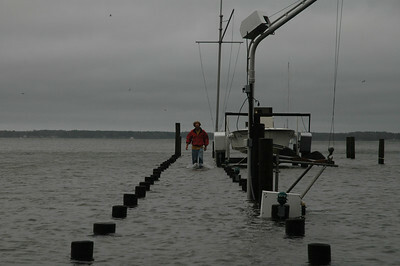 Dixon Cole walking down the dock on Fishing Bay. 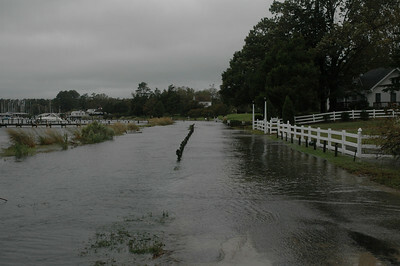 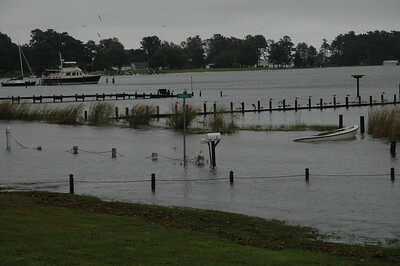 Water covering Fishing Bay Road. 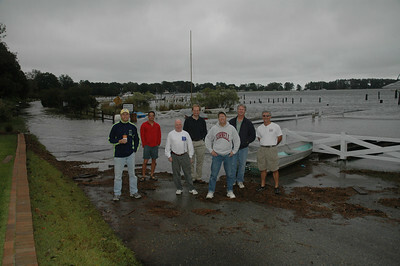 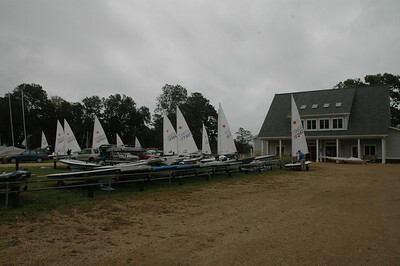 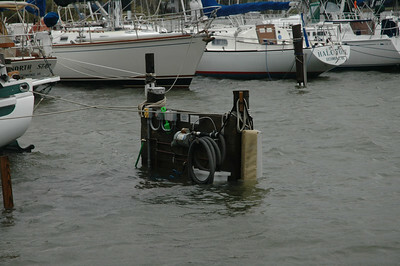 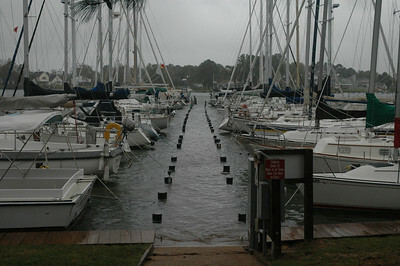 Laser sailors trapped due to high water. 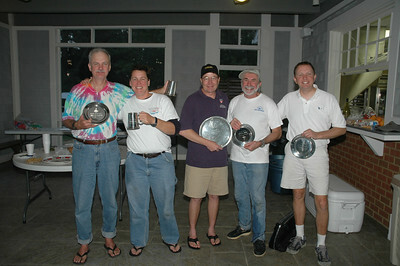 Ted Morgan, Bob Tan, David Clark, John Hubbard, Mike Schmidt, Eric Powers and Ron Jenkins. 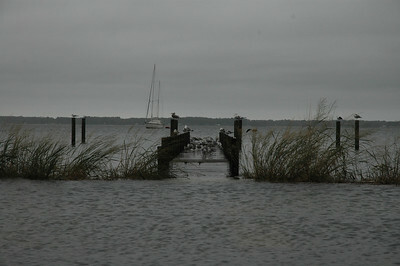 Sea guls on a dock on Fishing Bay. 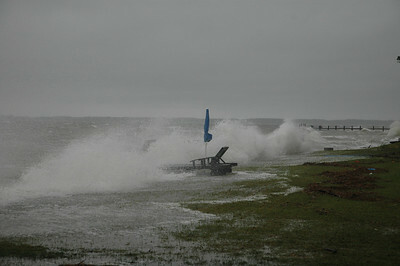 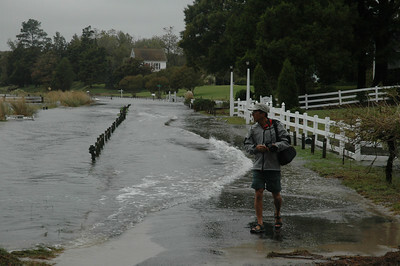 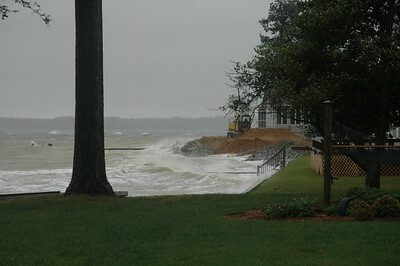 Waves break over Fishing Bay Road. 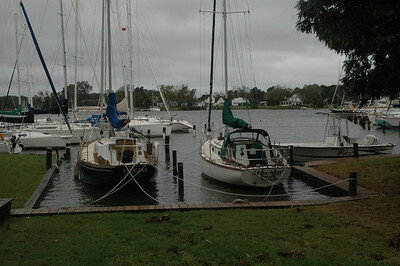 On the bay side of Stove Point water breaks into yards. 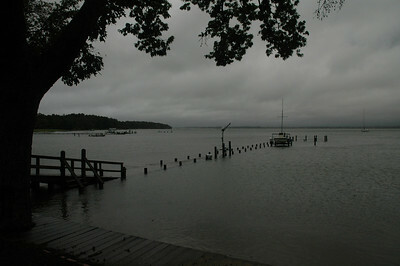 On the bay side of Stove Point looking towards Gwynn's Island. 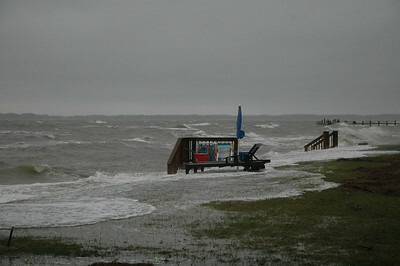 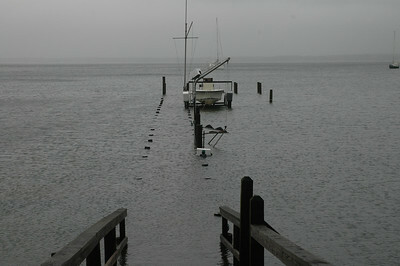 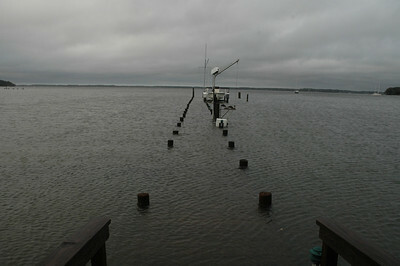 At the tide's highest point, water just covered the tops of the pilings on the Fishing Bay dock. 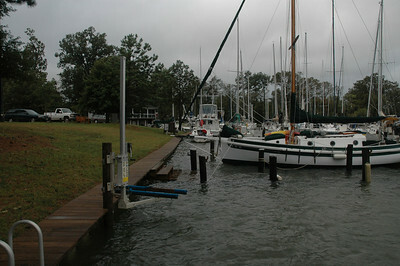 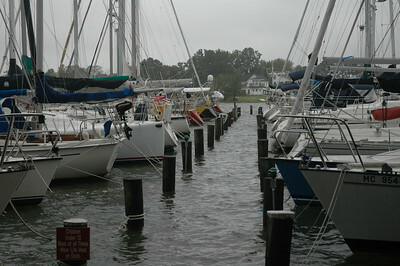 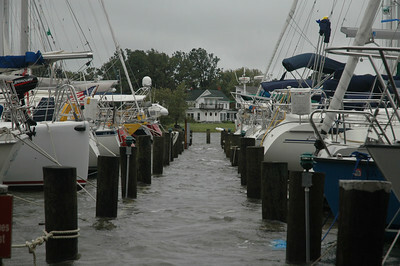 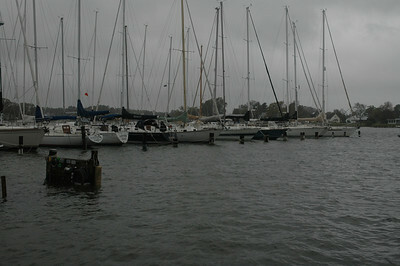 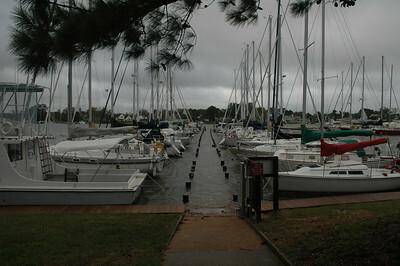 Boats docked on Jackson Creek. 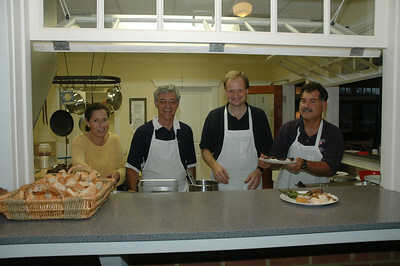 Chefs for dinner - Betsy Murphy, Ron Jenkins, John Hubbard and Frank Murphy. 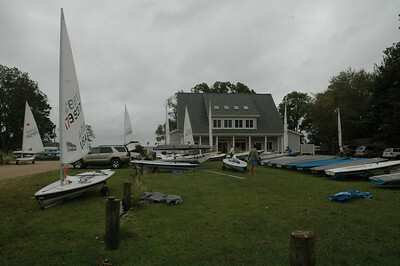 Lasers rigging up Sunday morning.